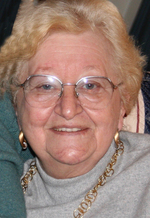 Gerda B. Towne, 77, of Arundel, Maine, died on January 19, 2019 at her home. Gerda was born on June 24, 1941 in Vienna, Austria to Heinrich and Leopoldine Albine Luhmann. At a very young age she moved to Germany, and ultimately resided in Groß-Gerau. After High School she studied to become a Jeweler. In 1962, while working at Frankfurt Air Force Base, she met the love of her life, Ted, an Air Force Sargent. They were married on July 12, 1963. They spent their time enjoying Europe, traveling when they could. Shortly thereafter, they were relocated near Leiden, Holland. Some of their fondest memories were forged while they were there. Janny and Simon were terrific friends who they spent most of their days with. They stayed in touch with to this day and in April 2018 visited them and family. After Ted retired from the military they moved to Arundel, Maine. While in Maine Gerda spent her days raising their son and daughter. She then found the next love of her life, Port Jewelry. In 1984 she bought the business located in Kennebunkport, Maine. She adored the jewelry shop and the people in “the Port” who she forged very strong relationships with. Her customers loved her, coming back year after year to see her and what new pieces she bought for the season. After 33 years she made the difficult decision to retire and close the shop. Gerda enjoyed spending time with her friends and family. She had a quick wit about her. She loved to tell stories, and she did so with a certain style that made a lasting impression on those who were listening. When she wasn’t at the shop, she was in the gardens tending to the wide variety of flowers and plants that surrounded her home, and at one point a rather large vegetable garden. She also loved being around dogs. She had dogs throughout her life, including four Dachshunds at one time, and more recently Ashley. She then shifted her focus and attention on her grandchildren, Madelynn and Cuyler, who she couldn’t get enough of. Gerda is predeceased by her husband of 50 years in 2013. She is also survived by her two children, Gabrielle Towne of Biddeford and Ted Towne of Silver Spring, Maryland, daughter-in-law Sarah Towne; two grandchildren, Madelynn and Cuyler Towne; her brother Heinz Luhmann of Trebur, Germany, sisters Beate Seiler and Margarete Petersen of Riedstadt, Germany. Visitation will be held from 5p.m. to 7p.m. on Friday, February 1st at Bibber Memorial Chapel, 67 Summer Street, Kennebunk, Maine. A Funeral Mass will be celebrated 11 AM Saturday, February 2nd St. Martha’s Church in Kennebunk, Maine, with Father Fred Morse as Celebrant. Should friends and family desire, in lieu of flowers, donations can be made to St. Andre Health Care, Memory Care Garden, 407 Pool Street, Biddeford, Maine 04005 in memory of Gerda Towne or Animal Welfare Society, PO Box 43, West Kennebunk, Maine 04094. To share a memory or leave a message of condolence, please visit Gerda’s Book of Memories page at www.bibberfuneral.com. Arrangements are in care of Bibber Memorial Chapel, 67 Summer Street, Kennebunk, ME 04043.